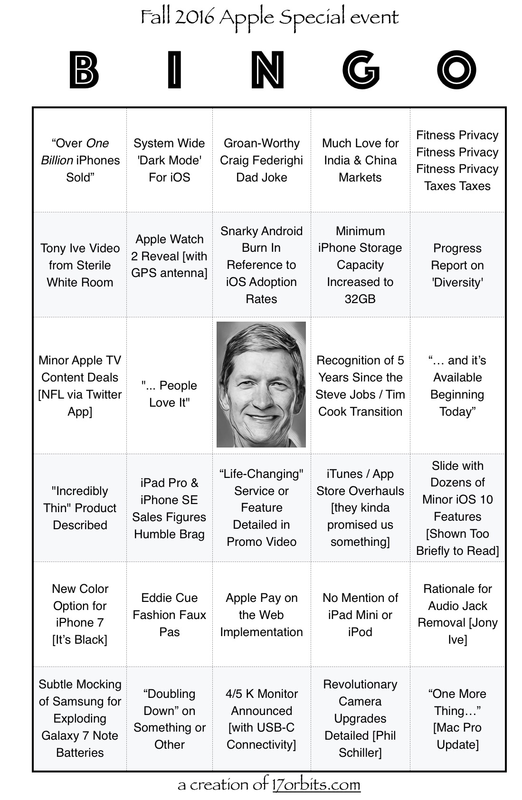 My BINGO Card this year is equal parts history, folklore, intuition, humor, leaks and wish list. Print out your card and play along. After a decade of iPhone keynotes we don’t get too many surprises. This distraction should make things a little more interesting. Unlike traditional BINGO we’re trying to fill the whole card instead of just the traditional up /down /across /diagonal. BTW: It always ends in a tie since were all using the same card.